When Activision started their Marvel action-RPG series with the original X-Men Legends, development responsibilities primarily fell on Raven Software with the occasional porting duties being outsourced to other studios. With development on X-Men Origins: Wolverine, Singularity and a reboot of the Wolfenstein franchise all happening simultaneously, Raven had very little resources to commit to the second and final Marvel Ultimate Alliance game released in the fall of 2009, Marvel Ultimate Alliance 2. Having prior experience porting chapters in both X-Men Legends and Marvel Ultimate Alliance to other consoles, the development of the second Marvel Ultimate Alliance fell to Vicarious Visions who built the engine to run the series on other platforms. 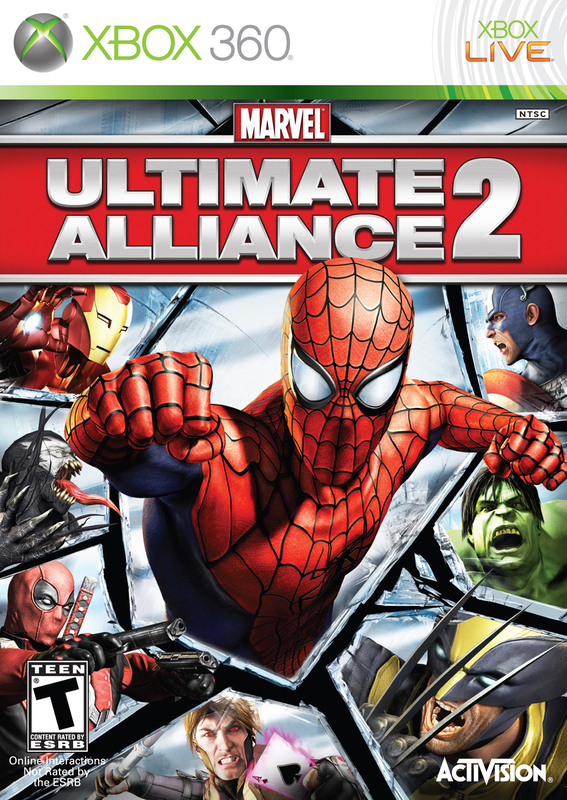 Though it is a respectable follow-up to Raven’s efforts as well as game that’s worth any Marvel fans money, Marvel Ultimate Alliance 2 doesn’t quite reach the heights of the original Marvel Ultimate Alliance despite being a very strong effort from Vicarious Visions. After the defeat and exile of Doctor Doom in the original Marvel Ultimate Alliance, the government appoints Lucia Von Bardas as the new leader of Latveria. When Nick Fury finds out that Bardas is upgrading super villains with the help of the Tinkerer, he commissions an unsanctioned mission into the country which starts a public distrust of the super powered community. After another incident in Stamford, Connecticut involving super heroes costs millions of innocent lives, the government imposes a mandatory registration of all super heroes which causes a civil war between those willing to fall in line with the governments issues led by Iron Man, and those who oppose these new operating rules led by Captain America. 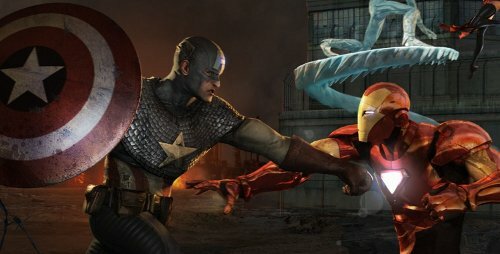 The story of Marvel Ultimate Alliance 2 tries to do a lot and never buckles under the weight of what it’s trying to do. It’s a sequel to the first game that incorporates elements from the Secret War comic series by Brian Micheal Bendis but the main selling point of the game is that the bulk of its story was a loose retelling of the famous Civil War story that was adapted into a movie that’s coming out that you may or may not have heard of. While the story does a good job of hitting the main plot points of the story, it doesn’t quite have the same impactful pay off as the last third of the game breaks away from the Civil War story to tell a cleaner conclusion. For those who haven’t read Civil War, it does tell a story that will drive you through the campaign, while those who are familiar with the tale will come away impressed about how it was adapted for this game. Though it hails from a new developer, anyone who played either X-Men Legends or the original Marvel Ultimate Alliance will feel right at home in Marvel Ultimate Alliance 2. You play as a team of four characters from the Marvel Universe, beating on waves of bad guys and bosses to gain experience to level up your powers and abilities while solving light puzzles along the way. This isn’t exactly a bad thing as like the other games before this, it’s incredibly fun to play a super hero beat-em-up with RPG trappings; especially if you bring a friend along for the ride. The new wrinkle to the formula here is the new “Fusion” mechanic which allows you to combine two heroes powers in some pretty great ways, like webbing everyone in a room together as Spider-Man to have them blasted by Ms. Marvel, or hurling Wolverine at a boss fast ball special style. This new combo mechanic encourages a lot more experimentation than any of the previous Marvel action-RPG’s where you more or less got your favourite team and stuck with them through the entirety of the campaign. It also helps that unlike any of the three games before it, you can swap out your hero at any time in the pause screen menu whereas before you could only do so at a save point. 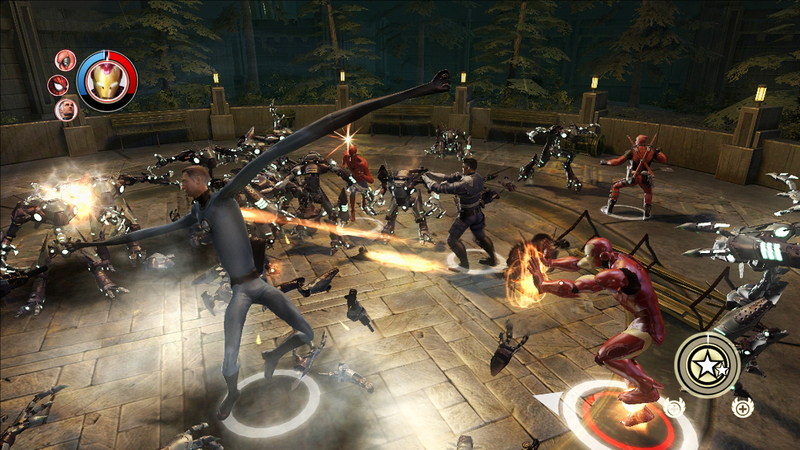 Marvel Ultimate Alliance introduced a mechanic into the formula when it came to the swapping of costumes. If for example, you picked Spider-Man you could unlock several different costumes, each with their own unique stats and upgrades. MUA2 allows you to have multiple outfits for each of the cast members, but they’re just a palette swap and no longer a unique set of abilities. Balancing this is how quickly you can level up your character. In the first game in the series it made sense to focus on one character over the whole team as you had very few points to go around. Here you get lots of points to level up your entire party evenly which is great because you’re going to be relying on them a lot more for the fusion combo maneuvers. Being able to level up so quickly is also somewhat of a necessity as Marvel Ultimate Alliance 2 is a much shorter game than any of the others of this type. To get through the campaigns of either the Legends series or the first MUA, you were looking at a playtime of around twenty hours however this game clocks in at a little over half of that. As like in the Civil War story you can pick which side of the argument to fall on, pro or anti-regisration, there is some replay value in playing the game twice to see things from both sides. This however only changes a few levels in the game, who you can play as, or certain character skill trees that can only be unlocked depending on what side you fall on. As opposed to playing the game over twice, it’s better to create a save file in the middle when you have to make the decision to see the few minor differences. Because the first Marvel Ultimate Alliance wasn’t chained to a pre-existing story, the developers were allowed to get very creative in the environments and places they could take you to which sadly isn’t the case with the follow-up. The story is much more engaging because it’s being adapted, however the places you go to end up feeling way more generic, save for the final third or so. Up to that point you’ll find yourself running through such innovative stages such as a sewer and a warehouse that feel way less special or interesting as Asgard and the realm of Mephisto. That’s not to say that the graphics are bad, in fact they’re much better than the first game as this was built from the ground up for the PS3/Xbox 360 unlike the first game which was ported upwards, but the story is driving you through the game more than the locations you’re visiting. Marvel Ultimate Alliance 2 doesn’t do that much new from the three games that came before it, but like the X-Men Legends titles and the first Marvel Ultimate Alliance, it’s still very fun to play and there’s just enough new between the fusion mechanic and the ability to swap out characters on the fly to make this feel fresh. The overall campaign is sadly the shortest in the entire series, but the Civil War inspired story and being able to play albeit briefly from both sides offers enough replay incentive to get your money’s worth. Complaints aside, if you’re a Marvel fan, this is a must buy for your collection.